Vitamins & MineralsUniversal Nutrition Uni-Vite - 120 kaps. Vitamins for any athlete who is aware of their needs. The best product of its kind available on the market, whose members included not only vitamins and minerals, but also vegetable extracts having an impact on the vitality and the overall health of the athlete! Each physically active young adept sports both strength and endurance should get a proper vitamin-mineral complexes that from the beginning to provide your body with the proper amount. Only Uni-Vite is able to fulfill the hopes vested in him! 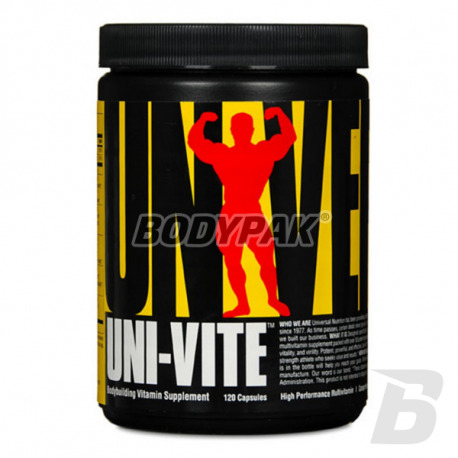 Universal Uni-Vite is the best vitamin supplement for professional athletes but also will be suitable for amateurs. Each serving provides all the necessary vitamins for trainee body. A comprehensive multivitamin supplement for optimum strength and vitality, and also prevents the creation of vitamin deficiencies, caused by eg. Intense exercise. Recommended for all the hard training athletes. Multivitamin Complex Universal Uni-Vite is the most advanced formulation of pro-health market. 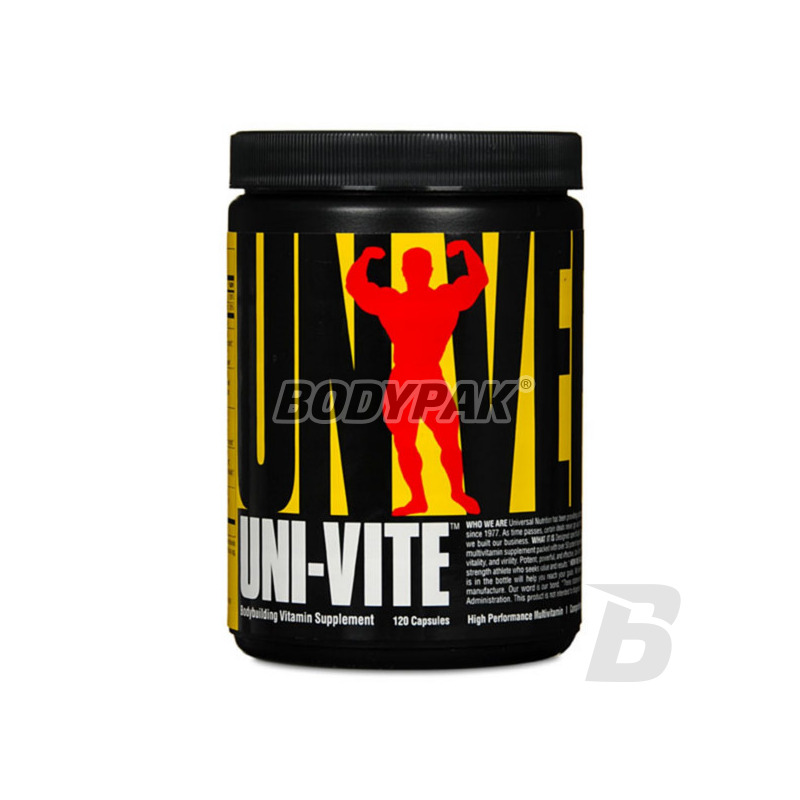 Each serving of Uni-Vite has over 50 active ingredients to ensure the health and vitality of athletes. In addition to essential vitamins, which are the foundation of a healthy and viable in the body, Uni-Vite also contains other substances, such as antioxidants, minerals, and enzymes and other nutrients that provide optimal functioning laden coaching the athlete's body. 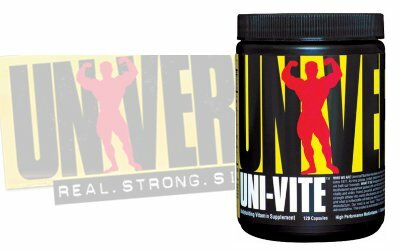 Vitamin supplement Universal Uni-Vite was created specifically for demanding athletes who expect high-quality nutrients that bring the expected results.